Pilots troubled by mental health challenges, which in many cases can be controlled with medication, face the likelihood of being prohibited from flying if they seek treatment. WASHINGTON – Pilots troubled by mental health challenges, which in many cases can be controlled with medication, face the likelihood of being prohibited from flying if they seek treatment. A JetBlue pilot suffering an apparent breakdown in-flight has prompted focus on the Federal Aviation Administration’s medical screening policies. Pilots and pilot advocates worry that acknowledging most mental health symptoms can ground them, often permanently. In 2010, the FAA for the first time specified four drugs — Celexa, Lexapro, Prozac, and Zoloft — that pilots could take for mild to moderate depression that would not automatically disqualify them from flying, at least temporarily. “They’re only using it to augment their mood, getting through a rough spot in the road, such as relationship issues or where they may have lost a loved one,” says David Hale, president of Pilot Medical Solutions, a pilot advocacy group aiming to assist pilots in navigating the FAA’s stringent health requirements. A pilot who begins treatment for depression is grounded for a year to monitor his reaction to the medication and subject to several re-evaluations before being considered suitable for flying, according to FAA guidelines. While a pilot treated for situational depression can eventually return to flying, that’s not the case for other treatable conditions. Hale says despite the availability of drugs to control mild to moderate anxiety, seeking treatment under current regulations can cost a pilot. “If a pilot decides to go on one of these medications, at that point he is obligated to essentially ground himself,” Hale says. More severe mental health conditions — including psychosis, bipolar disorder and severe personality disorders — are on the FAA’s list of immediately disqualifying conditions, along with several heart conditions. 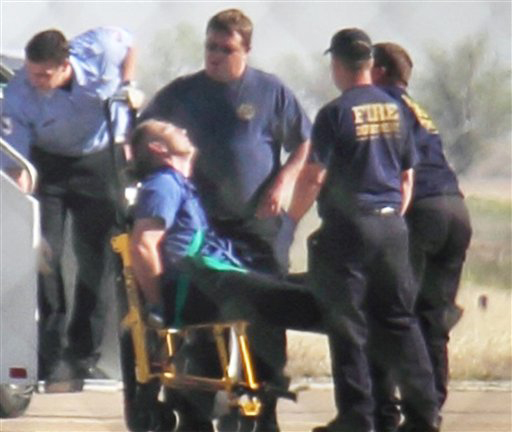 The FAA acknowledges self-reporting during routine medical examinations is the primary way the agency learns of a pilot’s mental health treatment. “Many pilots do tell the FAA (about a recent mental health diagnosis) but they’re not required to, they’re only required to ground themselves,” Hale says. The FAA does have access to the national prescription database, which tracks what drugs are prescribed to a specific person. And in cases where a pilot fails to self-report, concerned spouses or doctors can call an anonymous FAA safety tip line. A current pilot, speaking on condition of anonymity, fears colleagues who’d prefer to be treated professionally for mental health issues often resort to self-medication through alcohol. Hale says in many cases, including the JetBlue meltdown, there is no indication of a potential problem. “If that happened on anyone else’s job, they would have just gone home for the rest of the day,” the current pilot says. Follow Neal Augenstein and WTOP on Twitter.